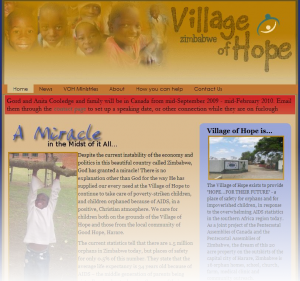 As part of the team of men who went to Zimbabwe in June – I was amazed by the work being done to make a difference in the country of Zimbabwe by the Village of Hope and their work with children. 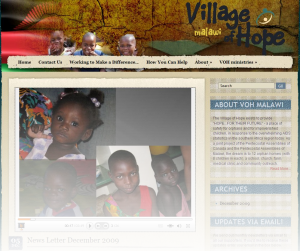 One of the things that I discovered in working with them is that they don’t have a website to promote what they are doing and provide an information/communication portal for their current and potential supporters. 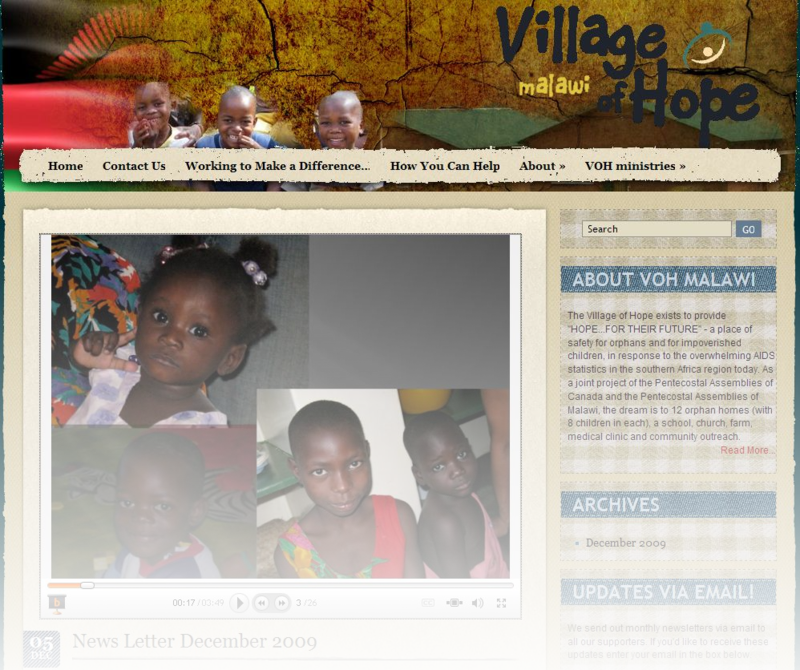 I decided to donate my services to design and host the website because I believe so strongly in the work the Village of Hope is doing. 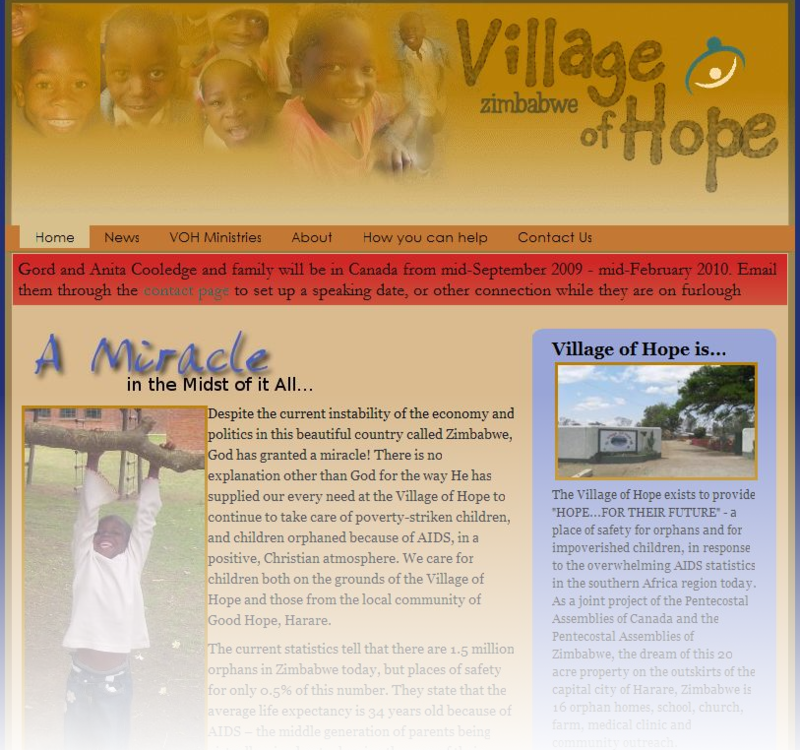 So without further ado, I’m announcing the launch of the brand new website for the Village of Hope in Zimbabwe (vohzimbabwe.com).